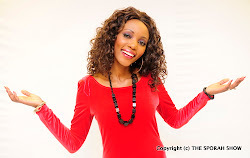 SPORAH TV: SPORAH REPRESENTING AT AFRICA GOSPEL MUSIC AWARDS 2011. SPORAH REPRESENTING AT AFRICA GOSPEL MUSIC AWARDS 2011. It was my very great honour and pleasure to attend and to participate in African Gospel Music Awards 2011. It was a beautiful evening of classical music. I am inspired and i really enjoyed it. Sporah Njau reading the nominees..! It's a great honour to be part of this beautiful evening. The MC's of the night..! Sporah and Andy. ..! Mr Simply Andy, he is a Presenter, Comedian, Musician and Actor. I Was very proud to present Africa Gospel Music Awards 2011. Aunt Sporah, i really like your show can i take a picture with you..! Pauline Long, The CEO of BEFFTA Awards on the red carpet. A TV Personality Rosemary doing Interviews on the red carpet. You have a nice figure Sporah. 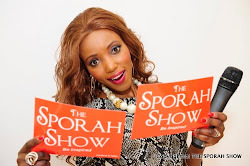 SPORAH, YOU'RE WINNER WHETHER WE WANT OR NOT, GOD IS THE DETERMINANT. YOU REPRESENT EAST AFRICANS SO WELL. I LOVE YOU AND I HOPE TO MEET YOU ONE DAY. Hi Sporah, you looked gorgeous last night at the AGMA event, great presentation and we all had a grea time, well done. I didn't know about your show till then. You're a truly Star. 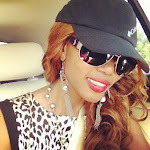 absolutly love your style sporah. When God say yes nobody can say no. Oh it was great, God bless you guy's, I am so happy that I went, next year will be great and even bigger. Thumps up to you sister. You are representing us so well Sporah.